There are a variety of causes for foundation cracks or shifting for your home. 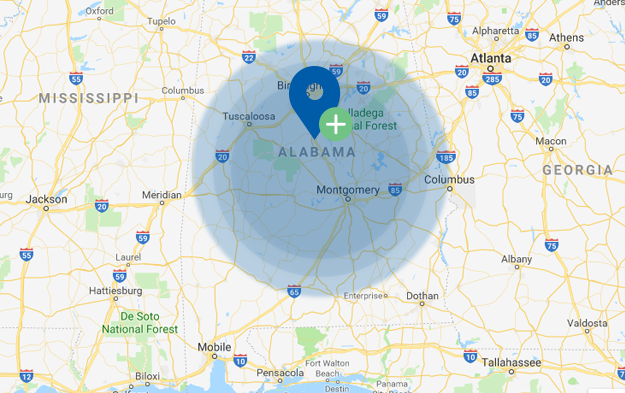 Ox Foundation Solutions has seen them all and can advise you on the best method to stop and repair any type of foundation issue in Alabama. Foundation repair solutions are a permanent way to remedy your foundation issues by utilizing a push pier and/or helical pier system. Ox Foundation Solutions installs piers along the foundation footings and grade beams as needed. These steel piers are hydraulically driven into the ground until they reach competent soils and/or bedrock beneath the foundation. These repair solutions provide the very best option to repair your foundation back to level. All of our pier systems are hot-dipped galvanized to add additional corrosion protection and supply the product with extended life expectancy. Foundation cracks from slab settlement can affect new and old structures alike. Whether you are dealing with a sinking slab in your basement, garage, driveway or patio, a common solution to repairing sunken concrete is to demolish and replace the entire slab. This method can be costly and time-consuming. Applying OxPoly®, a concrete-lifting technique is a cost-effective, expedient and less disruptive alternative that offers numerous advantages over other common slab raising methods. We truly want this to be the only time you will ever have to worry about your compromised foundation again. Hot and dry conditions cause clay soils to expand and contract, which in turn starts to compromise the integrity of the soil around and under the foundation and walkways. Settlement due to this foundation moisture imbalance can cause cracks to appear throughout the property. Tree roots can dehydrate the soil beneath the foundation causing shrinkage and thus causing foundation issues. They can also grow beneath existing driveways and structures, which will cause a heaving effect of the area. Water from leaky plumbing is often a major contributor to foundation problems including heaving and effervescence becoming noticeable around the affected area. Improper drainage will lead to excess moisture build-up, which can erode or consolidate soils. Excessive moisture may cause heaving of expansive clay soils beneath your home or walkways. Cut and fill situations, where soil is removed from part of the building site and stacked on another, needs proper soil stabilization before a structure is built; otherwise unexpected movements of the soils beneath the foundation may occur. This is very problematic in cities that allow building on slopes and hillsides. If you are experiencing any of these issues with your foundation, contact Ox Foundation Solutions at 205-303-3404 or complete our contact form to schedule your complimentary foundation evaluation.